among the many who plan to make this the Season of Giving, read on for tips to ensure your efforts are well spent. DON’T readily give to phone solicitors. 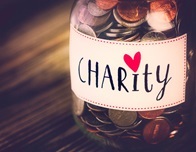 Even if the organization is recognizable and reputable, a phone call likely means they’re paying a fundraising company, which therefore receives part of your charitable donation. DO give to prominent organizations that mean something to you. When you or someone you love has been touched by their cause, giving feels that much sweeter. DON’T forget these trite but very true statements: Organizations really need your help, and every little bit helps. Especially when it’s tempting to dwell on the bad things happening in the world, it’s empowering to remember that even one donated coat, or hour spent, or dollar given really can make a difference. DO find time amid the holiday busyness to volunteer. Be the bellringer, re-stock the foodshelf, create cards for the elderly—it’s guaranteed to make you consider the holiday spirit in a way shopping at the mall simply can’t. Visit bostoncares.org for lots of local opportunities year-round. DO remember that giving benefits the giver, too. Studies have shown that helping others can lower stress, decrease depression, and improve overall physical and mental health. DO participate in events that make giving a social event. Galas, 5Ks and open houses happen throughout the season. Cookie Swap for a Cause on December 21 at District Hall, for example, turns a delicious holiday tradition into a benefit for pediatric cancer. See bostoncookieswap.com for more information on this event, and bostoncharityevents.org for other fun ways to contribute. DON’T be swayed by statements such as “all proceeds go to charity.” It’s meaningless, as expenses could very well be deducted first. Ask what percentage of your donation goes to the program, after expenses and administrative fees. You should receive a direct answer. DO take advantage of all the added opportunities to give that spring up around the holidays. Whether it’s adding change to the red kettles on the corner, rounding up your grocery bill or dropping a few canned goods off at a business you frequent, it all adds up. In the spirit of giving, EZ Storage is donating $5 from each new rental through February to the American Cancer Society. Contact EZ Storage for more on how EZ is breaking the ice with holiday giving.